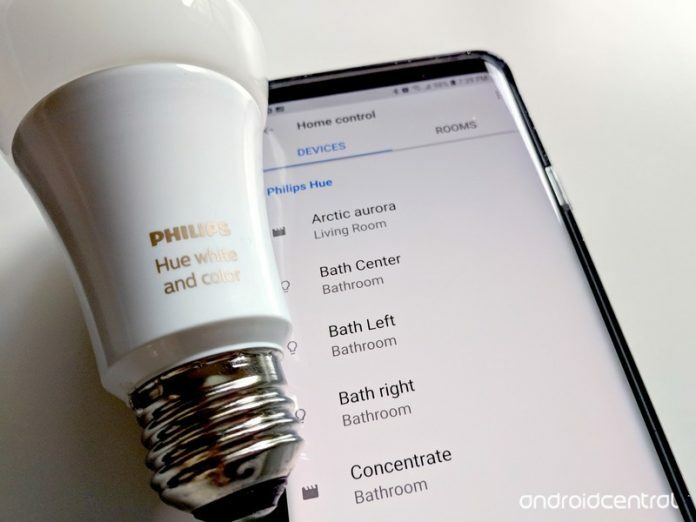 Philips Hue makes some of the best smart lights money can buy, and as luck would have it, they work great with Google Assistant. You can turn individual bulbs or entire rooms on or off with a single command, change colors, dim the lights, and more. 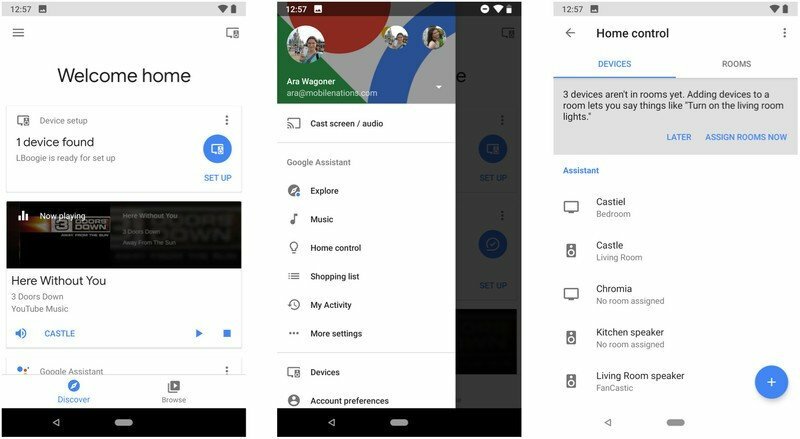 Here’s how to make sure Google knows what lights to talk to. 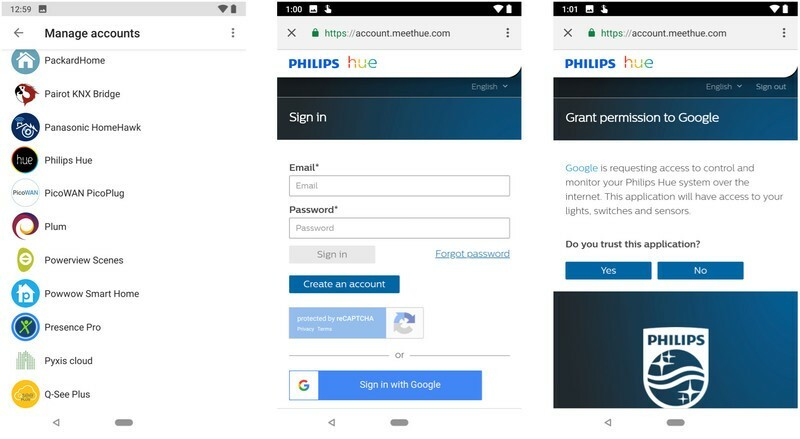 Pairing your Hue bulbs with Google Assistant is as easy as signing into your Philips Hue account in the Google Home app. Once you’re in, it’ll automatically configure all of your bulbs using the same rooms you’ve set up in the Philips Hue app — don’t worry if you haven’t done that yet, we’ll cover that next. Tap the three-line menu in the top left corner. Tap the blue + button in the bottom right corner of the screen. A link will open a browser window. Sign in to your Philips Hue account. 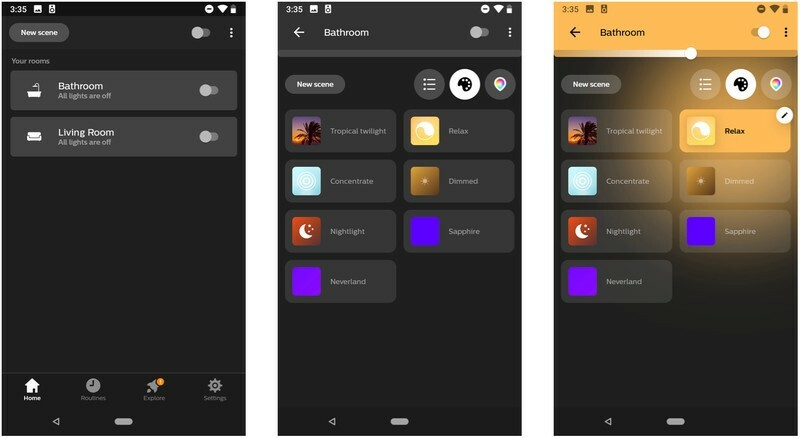 You can reassign your bulbs to different rooms from within the Google Home app if you want, which will allow you to control multiple lights at a time with commands like “turn on the living room lights.” If you tend to stick with particular colors or color combinations with your lights though, you might want to set up custom scenes within the Philips Hue app, which will in turn import to the Google Home app. Scenes are like presets for your rooms, automatically switching your lights to fixed colors and brightness levels. Choose the room to assign the scene to. Enter a name for your scene. Drag the slider under the scene name to adjust brightness. 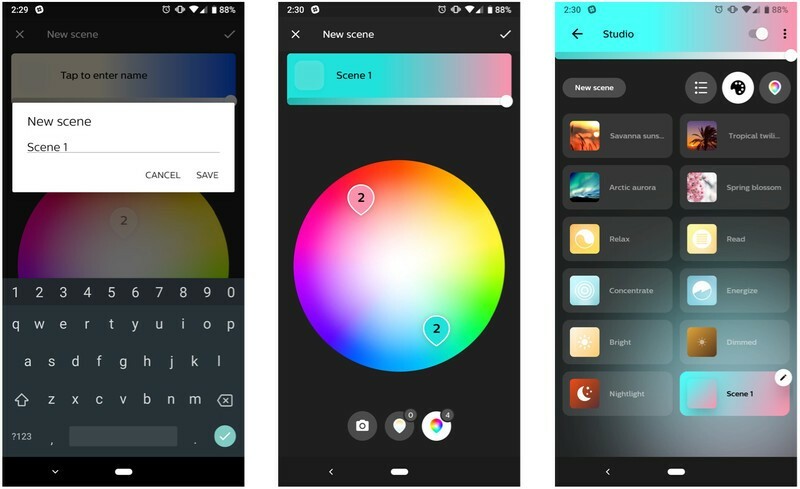 Move the sliders along the color wheel to assign different colors to your bulbs. 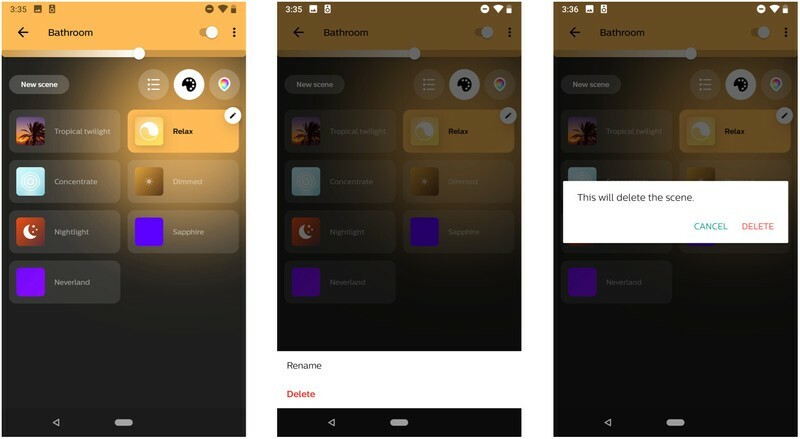 Unfortunately, Google Assistant won’t see your new scenes until you’ve signed out of and back into your Philips Hue account in the Google Home app. Once you do, scenes will show up as individual “devices,” so before you go to the trouble, you’ll want to delete any unneeded scenes to prevent clutter. Tap the room you wish to edit. Tap the scene you wish to delete. Tap the Edit pencil icon in the top right corner of the scene’s shortcut. A confirmation window will pop up asking if you really want to delete this scene. Tap Delete. Cleaning up your scenes will make room for new scenes you’ll actually use. While you’re here, if you have the same scene that you use in multiple rooms, consider renaming the scene so it has a name specific to each room. Tap the scene you wish to rename. Give your scene a unique name. When picking names for scenes, try to pick unique names that aren’t related to songs/artists/films. I named one of my scenes Under the Sea, and Google Assistant turned on the Little Mermaid song instead. 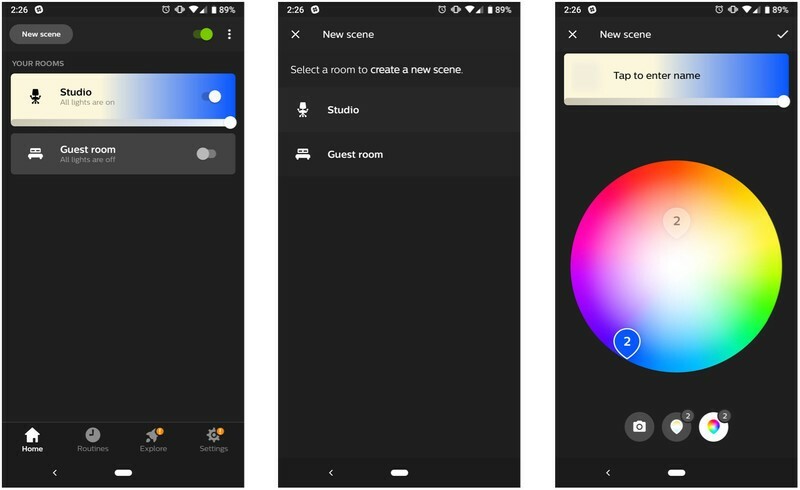 Once you’ve gotten your scenes in order, it’s time to unlink Philips Hue from Google, then relink it so it can find your new scenes. A confirmation window will appear. Tap Unlink. 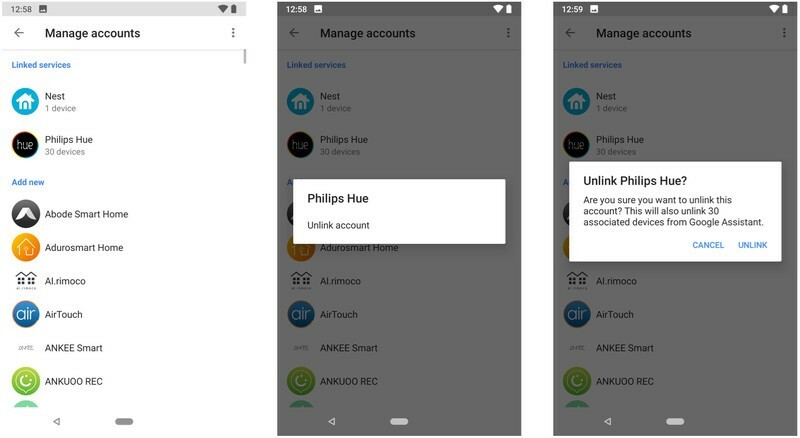 With Philips Hue removed from your Google account, just follow the steps in the first section of this guide again to re-associate the accounts and import your new scenes. 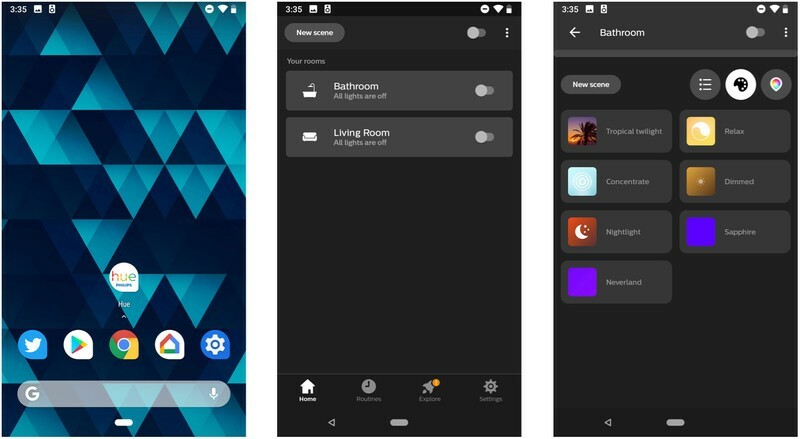 You can activate scenes the same way you would turn on an individual light, such as “OK Google, turn on Sapphire.” If you have a scene with the same name in two rooms, Google will turn on that scene in every room it exists in, so be sure to either give scenes specific names or specify the room. While you can turn a scene on to turn on the lights, you can’t turn a scene off, so you’ll still have to tell Google to turn off the lights when you’re done. 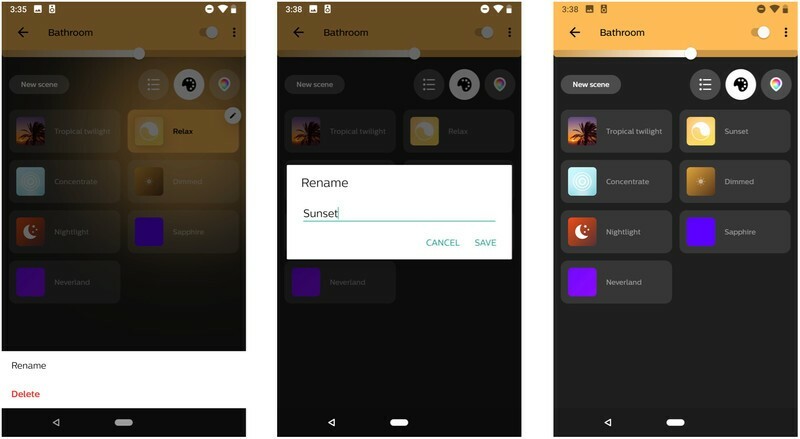 You can add scenes to Google Assistant routines, allowing you to turn on a bright scene when you say “Good morning” or activate a dim scene at bedtime using the Adjust scenes option. You still have the Adjust lights, plugs, and more option for turning individual bulbs on or off. 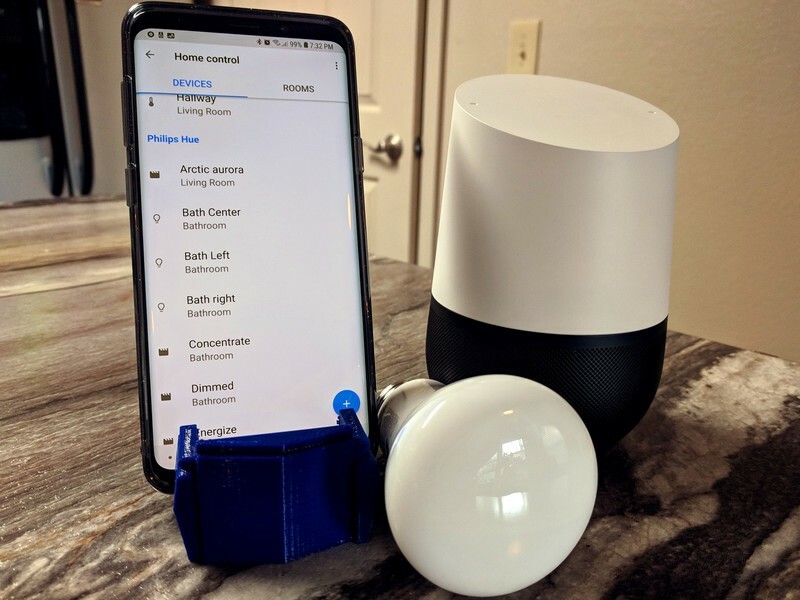 Both Philips Hue and Google offer a variety of products in their respective categories to meet different needs and homes, but most people will be best off with the White and Color Ambiance bulb paired to a Google Home. This gives you plenty of flexibility with your lighting, plus great smart controls through the excellent Google Assistant, and the Home’s loud speaker makes it great for listening to music throughout the house. 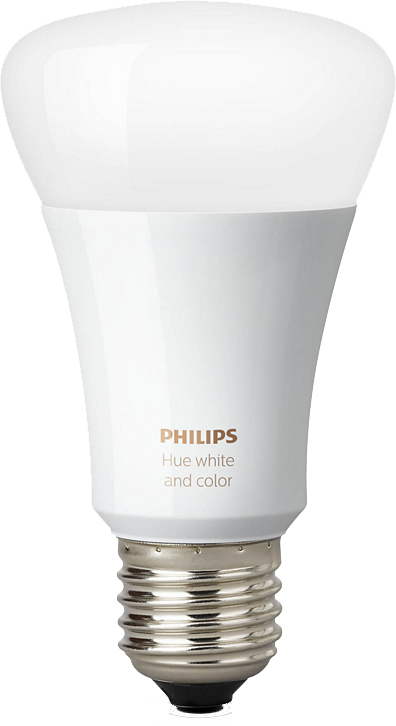 The White and Color Ambiance bulb is Philips Hue’s halo product, able to display millions of colors and controllable via your phone or voice assistant. You’ll need a Hue Bridge to make it work, but the accessory support and smart features are well worth it. 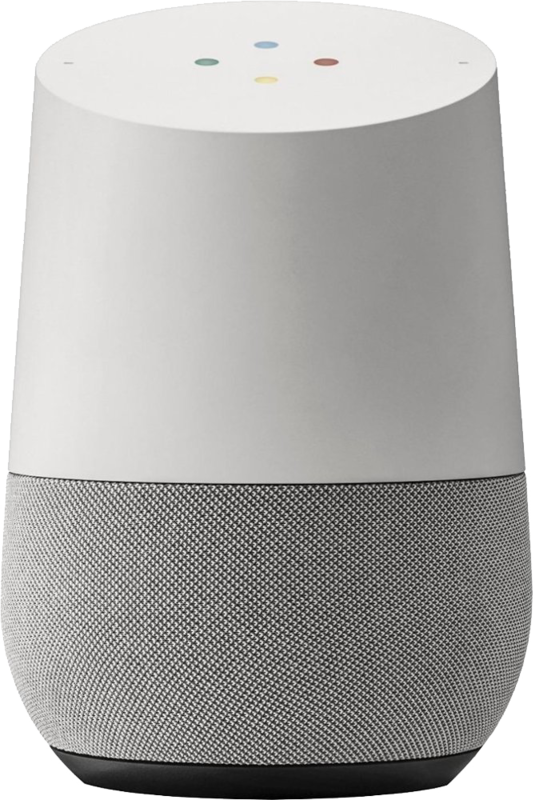 Google makes both cheaper and more expensive smart speakers that fit different needs, but the Google Home is its most universal model, with Google Assistant support and a surprisingly good built-in speaker. You can control your lights, play back music, and much, much more.